Here is a T3 Tikka I put together a wee while ago now. Sold it to a client that is recovering from a shoulder injury so was looking for low recoil. Shoots the 123 SST pretty well, here is the full load development. Shootm, Tahr, gqhoon and 8 others like this. Ackley and rossi.45 like this. Yeah I've been told "You should have been a Doctor with scribble like that"
Beaker, 25/08IMP and PERRISCICABA like this. Maybe something to do with the intended recipients shoulder injury and request for low recoil? Kiwi Greg and GWH like this. 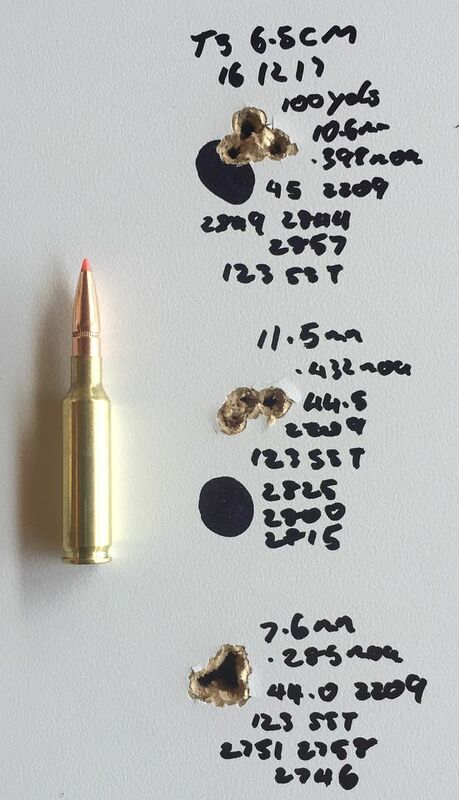 Have you tried 100 grain Barnes for low recoil hunting? Should be capable of most game animals with even less recoil. Another well put together package there Greg!